Growth: the Pacific coast of United States. Appearance: Straight grained and even textured. Pale yellow to reddish brown with indistinct boundary between heartwood and softwood. Soft, light, not particularly strong, with good elasticity, good steam bending, medium stiffness, low shock resistance, low decay resistance, and good stability in service. Working Props: Works easily with hand or machine tools. Turns and carves extremely well. Marginal nail and screw holding properties. Glues, sands, stains and finishes easily. 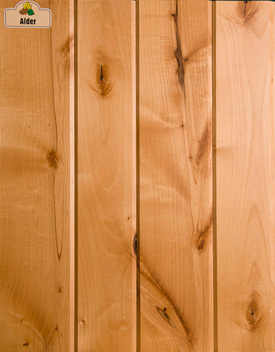 Uses: Commonly used for panel core stock (one of the easiest commercial timbers to peel). Also used for interior furniture, sash, doors, millwork, and carving.